If you think that the concept of “learning by doing” is a current and recent concept, you are wrong. The general concept of learning through experience is ancient. Around 350 BC, Aristotle wrote in Nichomachian Ethics: “for the things, we must learn before we can do them, we learn by doing them“. Learning by doing refers to a theory of education exposed by the American philosopher John Dewey. He theorized that learning should be relevant and practical, not just passive and theoretical. However, it is only recently that experiential learning has consolidated itself as a structured educational approach. We are talking about a process of learning through experience, a methodological approach different from that traditionally known and based mainly on an active and involved role of the student. The “Learning by doing” methodology involves learning through actions. Through the actions, a mudus operandi is internalized, so it allows to acquire an awareness of the process practices and the skills necessary to solve real problems. The focus goes from knowing “what to do” to the more interactive “know how to do“, thanks to the strategic simulation of real situations that allow you to memorize a series of correct practices and effective skills that can then be applied directly in the workplace. The shortcomings in engineering training have been exhaustively detailed in recent years. The real challenge in the field of engineering teaching is to facilitate the learning of “real” engineering operations, including quality management and to offer more expertise on teamwork skills. These are fundamental components to give the student the necessary skills to face and solve multidisciplinary problems that require critical judgment and creativity. Trace Software International also deals with training. Thanks to its experience in the field of industrial engineering, it possesses the necessary skills to meet the modern needs of both academic and professional training, providing customized and flexible solutions. Trace software International solutions are particularly suitable for teaching, because they are very intuitive and easy to use. This feature implies that the student can focus solely on the software experience, rather than on its operation. Through the use of software in educational institutions, the engineers of the future will have internalized the design and calculation processes in various industries. From secondary school to university, and engineering schools to lifelong learning, Trace Software International implements a strategy that facilitates the dissemination of its software both through an appropriate pricing policy to allow broad dissemination, and on a technological level to facilitate licensing and distribution within the educational structure. 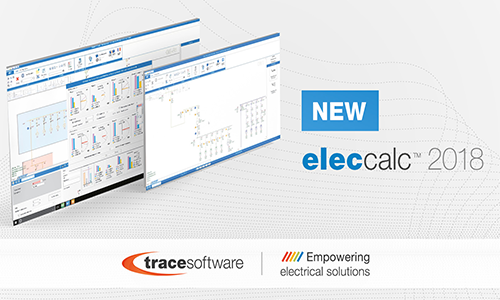 Trace Software International is thrilled to announce that the newest version of its electrical calculation software elec calc™ 2018 is here to empower the user experience and to guarantee the success of the project. 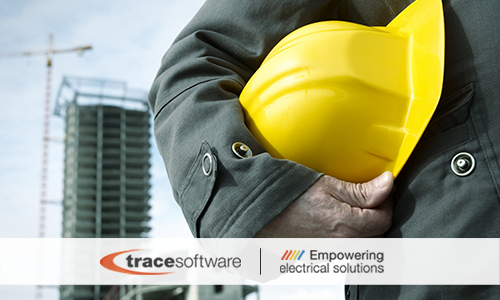 Since 1987 Trace Software International has been a global leader in industrial engineering, with a unique expertise in the design of electrical installations within Manufacturing, Energy, Building, Medical, Process & Plant and Transportation industries. “Empowering Electrical Solutions” has been the company mission since the early beginnings. elec calc ™ is the CAE software solution dedicated to the sizing of electrical installations, the only one in the world that allows to integrate the management of high and low voltage in the same project and in compliance with international standards. In a more and more demanding market, characterized by ultra-competitiveness, the latest software version guarantees excellent results in terms of precision, time and productivity, including flawless installation. The latest evolutions of elec calc ™ enables the user to save design time, enhance the performance and empower the accuracy of the calculations to provide a project as close as possible to the production conditions. Real assets that make the difference and bring real added value to your projects. New management features of the schema library: by means of drag and drop and / or contextual menus, the standard plans can be arranged, prioritized and presented in various ways. Improved presentation of calculated values: the calculated values have been reviewed and updated. The displayed values depend on the type of component and enable to know all the data useful to the dimensioning of the component. Management of discrimination tables between protection devices: these tables are supplied by the manufacturers and therefore only concern the discrimination between devices of the same manufacturer. The project configuration includes a checkbox for controlling discrimination by table. If this box is checked, the software displays an alert message on any non-selective circuit-breaker with the upstream protection. Improvement of the search interface in the catalogues: addition of a filter on the range of a material, addition of 2 columns of information in the list of circuit breaker bases (nominal current and number of poles), addition of a filter to choose a valid breaking capacity either directly or by cascading. Management of cables having several methods of installation: when the method of installation of a cable varies along the path, the standard requires sizing according to the most restrictive installation mode. It is possible to define several installation modes for the same cable. The software provides the most restrictive mode end to ensure reliability of the installation. Integration of new manufacturers references in the catalogues: + 6200 new references, taking into account manufacturers discrimination tables. Calculations of the installation in real time: any modification of the installation is considered, and any anomalies are immediately reported. Possibility to link external documents to the project or to add notes on the components to accompany the monitoring of the project. Management of an unlimited number of operating modes. Management of discrimination curves to make reliable projections as close as possible to production conditions at all levels of the installation. Possibility for the user to enter his own catalogues. It is easy to get started. You can now learn more about this cutting-edge design software solution and download a free trial version: FREE TRIAL. Customers with an active subscription will be able to download this new version directly from the software. Purchase options include flexible subscription terms to fit your needs and personalized customer experience and support. Talking about energy implies a reflection on the future of our planet and specifically on questions about the future of the world economy, geopolitics and the environment. The Norwegian company DNV GL, one of the leading providers of quality management and public risk management, predicts the future of the so-called “green energy” in the Energy Transition Outlook report. How will our planet appear in 2050? What will be the energy resources of the future? By 2050, the 139 countries of the world will choose distinct sources of energy and the transition to a cleaner world will be increasingly real. Global oil demand will reach its peak in 2022, but according to the forecast from that point on, gas will be the first source of energy, followed by renewable sources that would cover almost half of world energy production. As for renewable energy sources, gas will reach its peak in 2035 and in renewable sources the wind will represent, within 33 years, 14% of global supply, a point above the photovoltaic. The World Energy Congress added that in the last 10 years solar wind and energy have recorded an annual growth rate of 23% and 50%. Regarding photovoltaic systems, according to the opinion of James Prendergast, Executive Director of the Institute of Electrical and Electronic Engineers (IEEE), it will be essential to quickly improve the efficiency of solar cells and create economies of scale to make solar photovoltaic systems the most economical form of electricity within the next 10 years. What is the economic impact of this transition? This change of perspective would save 20 billion dollars, reduce the number of deaths caused by air pollution and create 24 million new jobs. This transition to a better future, a greener future will be made possible by the electrification of the world energy system. “The profound change shown in our report has significant implications for both historic companies and new energy companies. Ultimately, it will be the desire for innovation and the ability to move quickly to determine who is able to remain competitive in this new energy landscape, “says DNV GL president Remi Eriksen. What are the predictions of the future up to 2050? We must be realistic. If it is true that the use of renewable energy is expected to grow by 13% (2009-2035), it is also true that on the other side the predictions state that there will also be an equally important growth in coal and natural gas, with the latter in pole position. In this general framework, a research group at Stanford believes that we could energize the planet entirely with renewable energy by 2050, if we impose that all new energy production plants use renewable energy by 2030 and convert existing plants by 2050. This is a reality we should aspire to. Trace Software International has always compromised itself to anticipate the trends of the future. 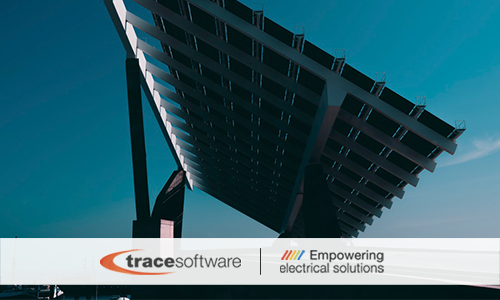 The archelios suite software solution – the solution to fully manage a photovoltaic project – was designed by the company’s engineers to change the global energetic landscape. The objective of the management of electrical risk is to reduce this risk to a minimum according to shared standards and to prevent potential negative effects. In the electrical engineering industry there are many situations in which a real danger may occur, given that the workers in the industrial plant must manage electrical equipment. – the correct use of all electrical equipment, considering the environmental and operational conditions. – the correct use of materials. – the maintenance process, aimed at ensuring the safety of the work environment over time. – the adoption of specific protection measures in the field of worker safety, including in this procedure, equipment and professional training. However, as in every area, even in the electrical systems industry there are many myths and misunderstandings that are handed on to the work environment, which in the end is the place where the experience is formed. “The incident energy is so high you can’t even walk into the powerhouse without PPE.” Another common misconception is “You need arc flash PPE to just walk through a room with operating electrical equipment”. It is not necessary to wear arc-rated PPE if you are near an energized equipment. Even if the risk exists, does not create the need for arc-rated PPE, unless you are interacting with the equipment in a manner that could cause failure. This is because the Electrical equipment rated under 600 volts that has been properly installed in compliance with all the standards, does not present an electrical arc flash hazard, unless it is operated in a manner that could cause failure. Safety regulations are not like construction standards (IEC, NEC, …), where once the facility is built under the current codes and standards it does not require updating, unless the facility undergoes a major renovation. Safety regulations enact safe work practices that evolve and need to be continually applied. Experience counts, but not always. The statistics confirm this data in the field of electrical system safety. The idea that only through experience can be considered a skilled worker is not true. Being qualified means possessing a lot of technical skills as well as skills and knowledge in terms of security. An obvious myth is the totally unfounded belief that only people whose title includes “electrician” or similar need training. According to OSHA – the administration of occupational safety and health in the USA – training is essential for all those working in the field, being exposed to risk. Hospitals have less competence when talking about victims of electric shocks. The number of victims for electric shock is lower than that for common accidents. If you touch a 20A circuit breaker, you will receive a current of 20A throughout your body. This is a phrase that is perhaps repeated by the team leaders to ensure that everyone works in compliance with the rules relating to security. But once one realizes his falsehood, the opposite effect is irreparably obtained. It is quoted: “Only the current allowed by the law of OHM will flow through a person. That current is dictated by the tension divided by the resistance of the body. This resistance is generally recognized to be around 1,000 Ω (6) for the average man. There are factors that will tend to change this value or down, such as bone mass, walking surface, shoe material, wet environment, etc., but it is a good number to begin with. At 120 V and with a resistance of 1,000 Ω in the circuit, current flow would be limited to a maximum of 120 mA. This current value could certainly be lethal and should not be overlooked as harmless, but it should also be used to instruct new workers in the electric field for the real risks of their work” . Grounding is useless. There is nothing more wrong than such a statement. Grounding is a fundamental component of electrical safety. Safety is a fundamental principle, especially when we talk about electrical safety. Effective training, compliance of the equipment with the standards, the correct use of the materials, maintenance and use of own knowledge can help. 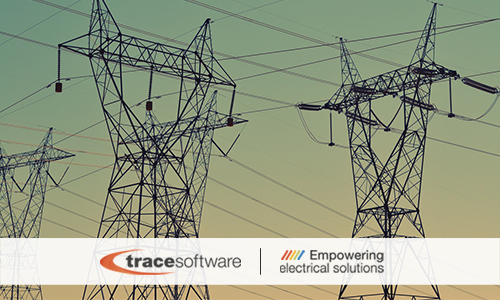 elec calc™ is Trace Software International tool for the smart calculation of low voltage and high voltage electrical installations in real-time, complying with various international standards and able to guarantee maximum productivity and safety. The current generation of electricity comes from different sources such as nuclear power, photovoltaic energy, wind power or hydroelectric energy, amongst others. For reasons of safety and quality of the power supply, installations require validation of the calculations according to various international and national standards in force. Our software solution elec calc™ has been developed to face the growing challenges ahead as the global economy is set to grow which means a huge increase in the use of efficient energy systems, but thanks many years of experience, that Trace Software International has gained, we are able to offer innovative solutions to meet these needs. elec calc™ is to calculate the installation, ensuring optimum sizing of the installation according to the selected standard. Moreover, it performs the sizing of the installation according to the following essential areas. Save money on equipment costs and reduce costly errors in the design process with quick selection of manufacturers’ references and verification of installation sizing. Size according to the international and local standards, ensure the correct behavior of the installation and comply with regulations in force. The data included in elec calc™ such as manufacturer catalogs or different standards are verified, to guarantee the consistent quality of the calculations. With its unique features such as HV/LV real time calculations, its intuitive and intelligent design mode, Intellisense, and its multi-level discrimination functionality helps ensure the maintaining of power supplies if a fault occurs, allowing the continuation of production and supply in the rest of the installation. This essential software package enables the calculation of high & low voltage electrical installations within the same package, in real-time, complying with various international standards. A revolutionary application that allows the sharing of elec calc™ projects on a browser, accessible from everywhere and on all type of devices (computer, tablet, smartphone). This is the newest innovative interaction tool facilitating the synergy between a 3D model and the electrical sizing and calculation that all meet the IFC protocols. Our software solutions are constantly seen as outperforming other competitor’s software in its ability to handle multiple operating modes, it also manages multiple sources more easily in a single project file, delivering a powerful tool for today’s electrical CAD engineers. Whatever the challenge Trace Software can provide the solution required. This is electrical CAD solution has been specifically designed to increase the collaboration between electrical and mechanical departments. 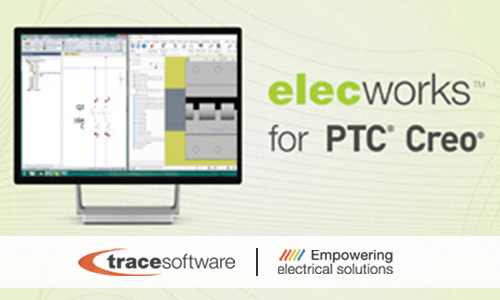 Enabling the integration of your electrical project from elecworks™ into PTC® Creo® project. It enables faster development of schematically defined electrical systems that can be readily implemented in the 3D CAD models. Increase the collaboration between electrical and mechanical departments. Create schematic driven harness design in the 3D model, utilizing real-time bidirectional functionality coupled with powerful routing, flattening and automatic documentation capabilities. Advanced elecworks for PTC® Creo® routing technology provides highly simplified auto routing of wires, cables, and harnesses from within a 3D CAD model. Detailed routing information is available instantly to all project users. elecworks™ for PTC® Creo® philosophy enhances concurrent engineering and coordination between electrical and mechanical departments in real-time. Allows the realization of 3D assemblies and/or cabinets, insert 3D parts, project terminal strips…with real time consistency checking and updates. 2D native DWG files are automatically generated to complete project documentation. With your 3D model and schematic linked bidirectionally in real-time, you prevent mistakes and additional costs, as you create a combined Bill Of Materials (BOM) for electrical and mechanical. With items selected during schematics creation added to the 3D model, you can ensure exact fits, check for collision/clash, calculate lengths, plan for efficient material usage, and reduce scrap thus saving costs for the design. 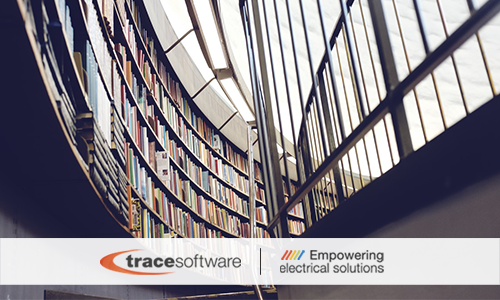 Whatever the challenge – Trace Software can provide the solution.